Welcome, you've reached the best place for your high quality post protection & safety padding products! 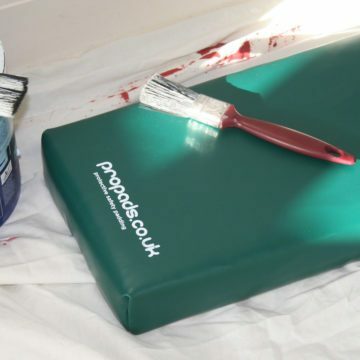 Here, at ProPads, we have a made-to-fit collision padding service for post protection pads and your bespoke safety padding sizes. 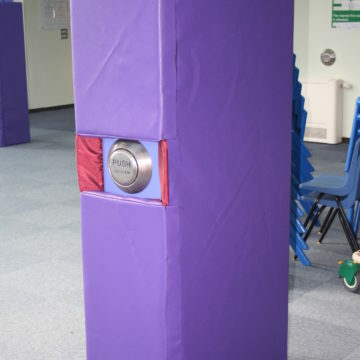 We supply safety pads and post protectors to the education sector nationally. There's a need to cover canopy posts, concrete pillars and other potential obstacles, both indoors and outdoors. Companies of all sizes use our safety padding products to cover potential hazards identified in offices, warehouses and other work areas. This shows a companies commitment to Health and safety and we will work with you to create that safe environment. Be safe! 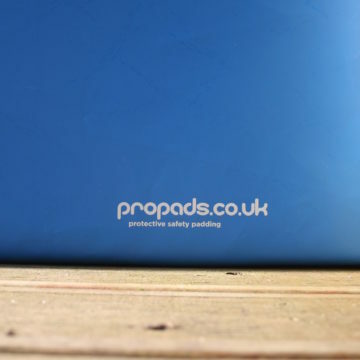 Propads has supplied clients from all sectors who have made work, play, educational and busy areas safer. 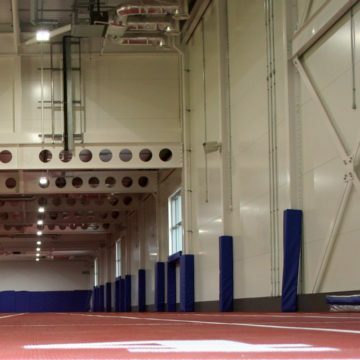 There's a range of colours you can choose from which can be used to create a colourful and exciting environment. These colours can be used to promote your school or business colours. You can also choose colours that blend in to your environment or suggest caution as required. Most of our customers require specifically designed safety pads and post protection to fit posts, wall corners, floor spaces, low ceilings, wall spaces and pretty much anything that can be seen as a potential safety hazard. As there is no such thing as a standard size we don't hold any stock as this would be impossible to do and besides you don't want a product that's lost several months of its life cycle (foam deteriorates). This is why we have a made-to-fit policy. This will also guarantee that your padding will last much longer than poorly made, ill-fitted or stock held products! The same goes for our Propads Wall Padding! If you have anything that needs padding then simply get in touch and let us help you out! 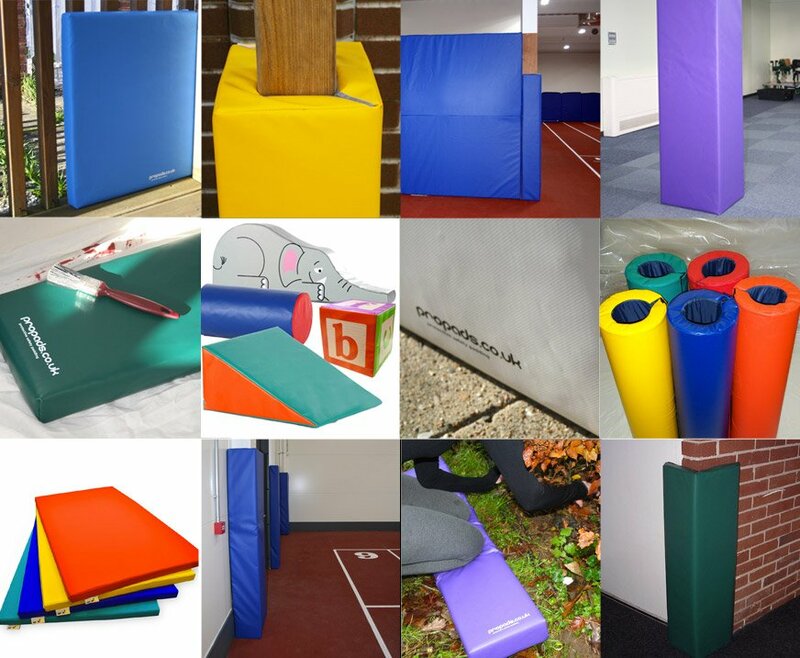 The floor padding mats offer a safer environment for sports activities & centres. 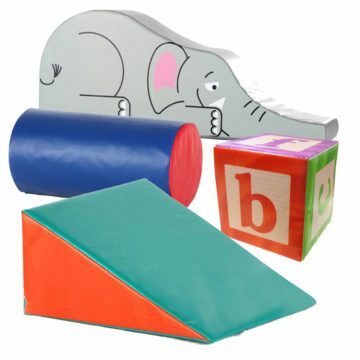 They are also perfect for safe play in kids play centres and even in the home. Schools also use floor mats during PE lessons. Our fun soft animal foam shapes and colourful foam seats use the same high impact foam as our floor mats and post protectors use. They make a fantastic addition to any toddler play area, encouraging them to explore the environment whilst feeling safe and having fun. If your foam shapes are looking tired and worn then we can help. If you need more floor mats or you're setting up a play area then get in touch with us - we have a great range for you to choose from! Have fun! We have designed kneeling mats which are perfect for indoor or outdoor use. 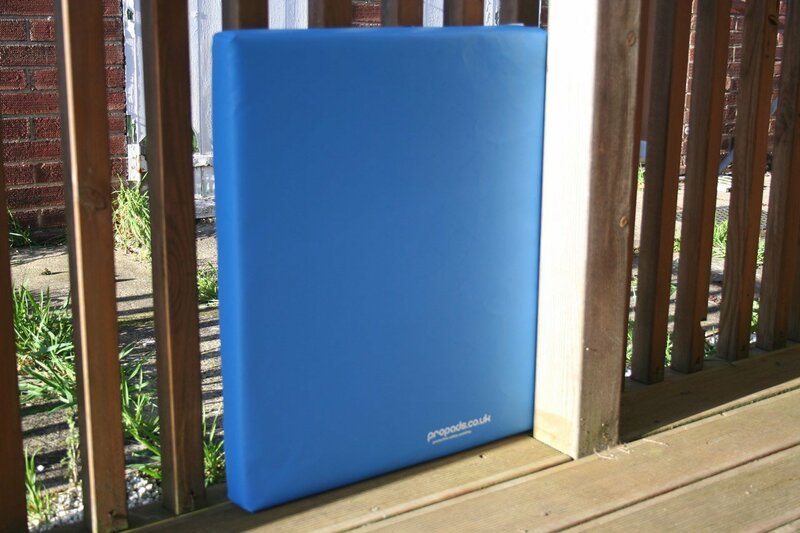 Standard knee mats are thin, hard and uncomfortable to use! Propads knee mats are made for comfort. If you need to kneel for long periods of time then our mats are perfect for you! Click here to find out more. 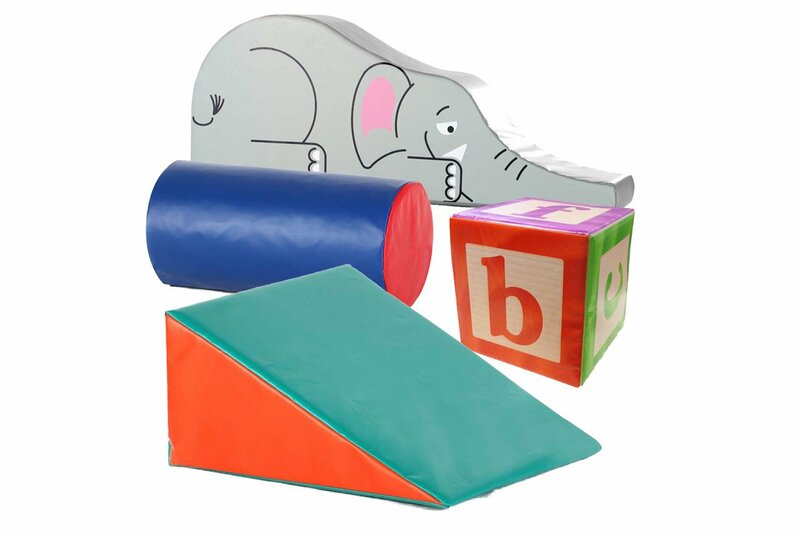 Fun foam shapes and designs covered in a colourful range of PVC covers, our soft play products makes child’s play more exciting and safe. We also have floor mats & ball ponds, and if you want something specific we’ll create it. 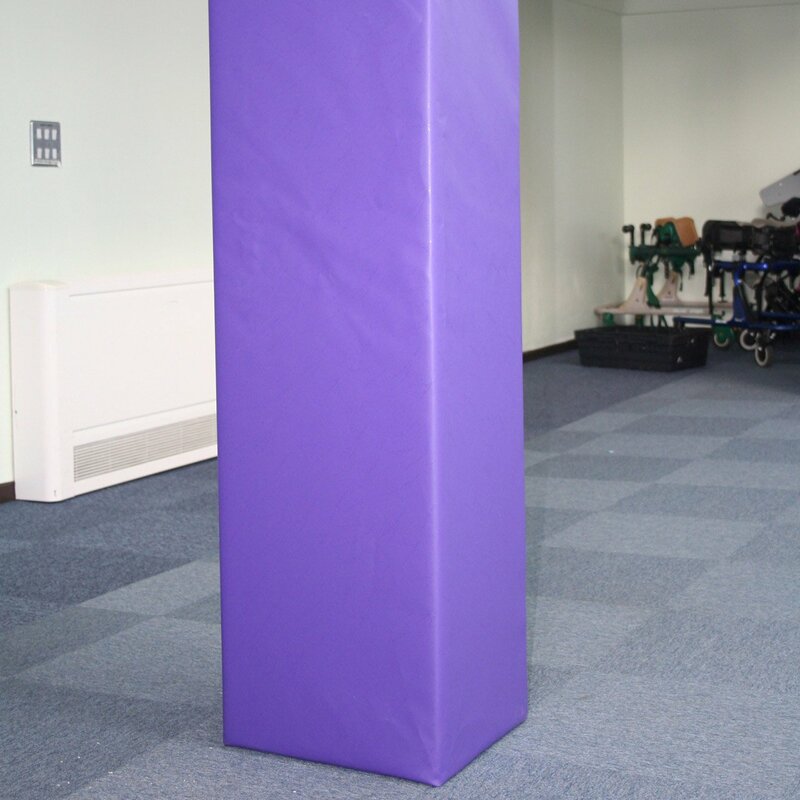 Using high impact foam and reinforced PVC covering our post protectors can be used indoors & outdoors. We have the right solution for your school, place of work, home, nursery and anywhere that Health and Safety is important. Whatever needs padding, we’ve got it covered! Great kit, Phil couldn’t be more helpful. Looks great and members love the new exercise area. Couldn’t fault the service we received. Order arrived, exactly as we needed and is already proving its worth in action! A superb quality product. 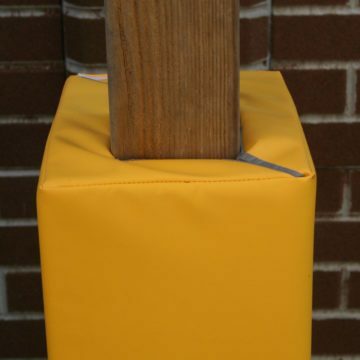 We ordered three bespoke post protectors for our church playground and they are fantastic – they fit perfectly. Great quality, thick padding, strong and durable, long lasting and vibrant in colour. All delivered in timescale. Great customer service. We are very pleased and would highly recommend. Thanks for supplying us with bespoke Post Protectors which are superb. They are a perfect fit, attractive and really durable. Customer care has been excellent and I would highly recommend Propads. After using the Propads knee mat for the cleaning job I do I found it to be a very strong well padded and very comfortable mat. As you cannot feel the floor under your knees like most pads. Any cleaning job, big or small, gardening, praying etc Propads knee mats are a winner. I would like to thank the team for their help in designing the post pads that we needed for posts around the sand pit to keep the children safe at our new nursery. A very good, prompt service and the colourful pads look great too! Will definitely be using Propads again! We purchased some lovely bright green protectors to cover our very unsightly stanchions in the farm park. We previously used grey pipe lagging for protection against head bangs but our new covers look so bright and cheerful and do a wonderful job for protecting our little visitors. Would definitely use propads again in the future. We purchased some netball post protectors and a large post protector for some play equipment we use in the playground. They took a long time to arrive, but are very good quality and extremely easy to install. 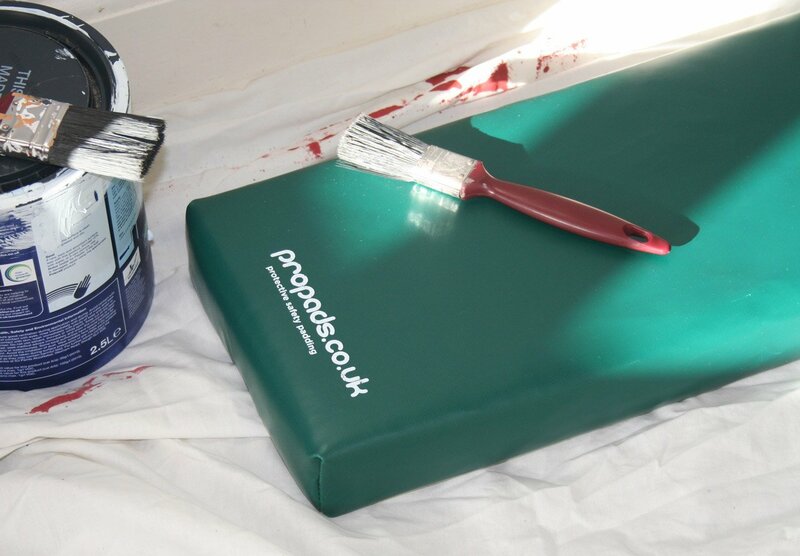 We were really pleased with the professional service we received from Propads. We hadn’t used the company before, so phoned and spoke with Phil who talked us through the various options and was very helpful. Once we ordered the pads, delivery was within the agreed timescales. Would definitely use them again. I purchased a knee pad to use at work. I found it very comfortable and well made. More comfortable than previous bought ones. Would definitely recommend. Great company to deal with from start to finish. Good quality products. Very helpful and professional. We found Propads on-line and from the first phone call Phil was very helpful, checking and double checking our requirements. After checking the colours and logo were correct we ordered the pads. On arrival they fitted perfectly to a very awkward shape. Colour scheme and logo were exactly as required. It was a pleaseure to deal with Propads and will return for any future needs. Many thanks to Phil and we would be happy to recommend them. The pads are excellent and wearing well in the sun and rain. The vibrant colours complement the play equipment really well and catch the eye. Added to that they give us reassurance, in the event of a fall, that children will not injure themselves on the uprights. They are extremely easy to fit too! Very easy to use and great products. The fitting was quick and easy. Highly recommended, would use again! I ordered nine post protectors for my dojo (training hall) from propads, Phil was very helpful. When the pads arrived I was extremely pleased at the quality, they are well made and looked great making the whole dojo look neat and professional. They fitted the posts perfectly! From initial order to delivery was just over 1 week, very efficient. I would recommend Propads, excellent service and products. We ordered some pro pads for the sports hall at our community centre. The service was quick, the price was great and the quality of product has been fantastic. 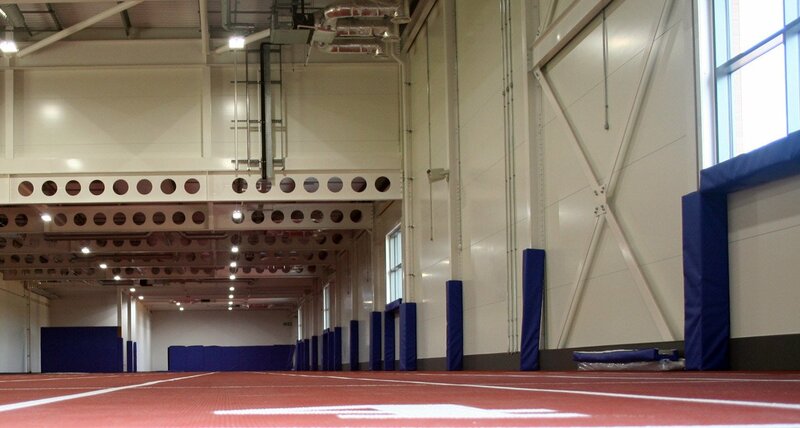 This has made a real difference to sports hall for all our customers. I would have no hesitation to use pro pads again. We're a friendly and experienced bunch who are here to help you out so Email us today with your requirements and we'll quote you with all the relevant information you'll need to get your project started. Be safe!